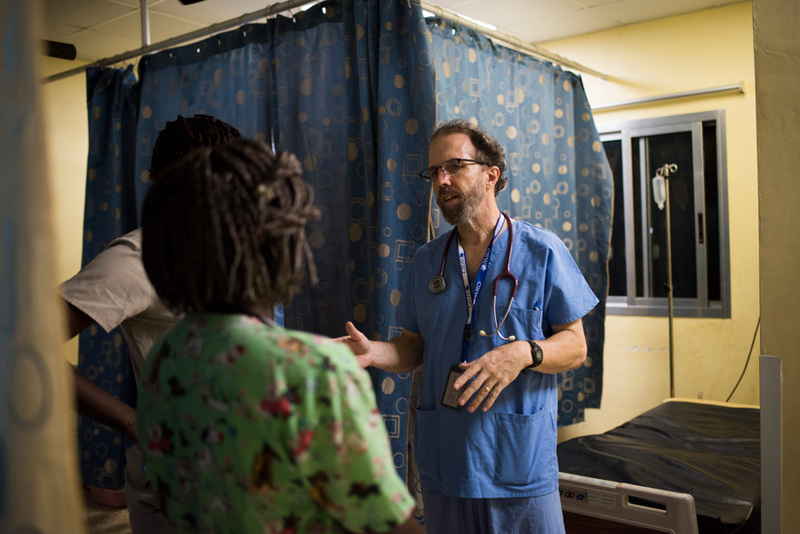 Soon to be honored for his longtime service on behalf of ELWA (Eternal Love Winning Africa) Hospital in Liberia, Dr. Rick Sacra feels a little uncomfortable in the limelight. Make no mistake about it, the veteran SIM missionary doctor and Ebola survivor is thankful for being the 2018 recipient of the AMH Rabbi Erica and Mark Gerson L’Chaim Prize for Outstanding Christian Medical Service—an honor he will formally accept from African Mission Healthcare (AMH) on January 31 in New York City. He would just prefer to have the spotlight shine on his colleagues and on the communities they serve together—and ultimately have the most attention be given to Jesus Christ, the Great Physician who continues to do His mighty work in West Africa. “This is an amazing blessing for ELWA Hospital,” Dr. Sacra says. “It’s a testimony to what God has done and to His grace. As the recipient of the third annual Gerson L’Chaim Prize, Dr. Sacra will be awarded $500,000 for the development of ELWA Hospital. The grant will bolster the hospital’s ability to train additional physicians in Family Medicine and surgery. At the same time, ELWA will construct and equip an intensive care unit, and provide training for nurses and other medical professionals in the care of critically ill patients in the ICU, the Emergency Department, and throughout the facility. And finally, the hospital will install a 40-kilowatt solar power unit to ensure it can generate adequate power and reduce the burden of high utility costs on the hospital’s budget. He went on to say that at present there are no fully functional intensive care facilities anywhere in Monrovia, Liberia’s capital. “Every day, I see patients who would have a good chance to survive, if they just had access to a ventilator or other intensive care services. With this prize money, ELWA will be able to provide these vital services to the sickest patients in the name of Jesus,” he says. Dr. Sacra and ELWA are also co-beneficiaries of an additional $250,000, derived from a matching challenge grant collaboration between AMH and Christian Broadcasting Network. They are providing $2 million to eight mission teaching hospitals in Africa—one of which is ELWA. This grant money helps with the Family Medicine training and also contributes toward caring for about 1,000 HIV-positive clients receiving treatment at the hospital. 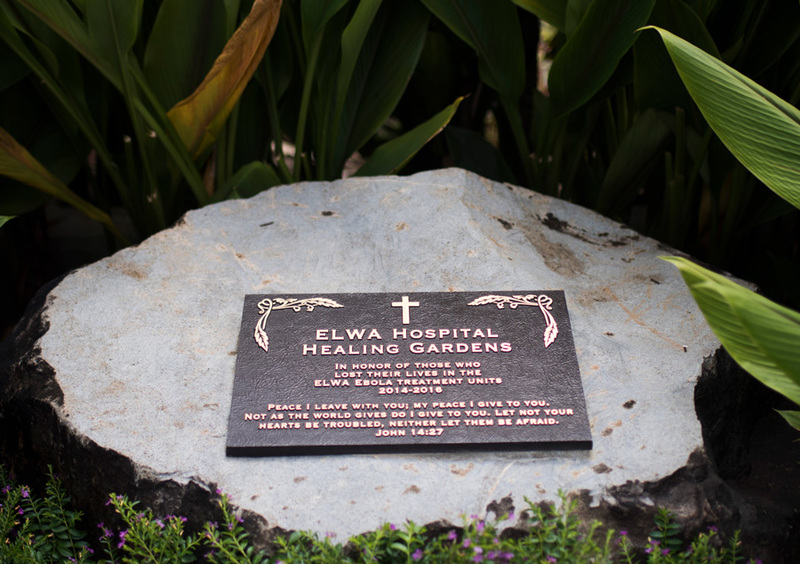 Other groups that receive special attention at ELWA include diabetics, patients with Hepatitis B, and teenage mothers. ELWA Hospital was founded by SIM in 1965 to serve the medical needs in the community surrounding the ELWA Radio compound in Paynesville, Monrovia, Liberia. It was a consistent presence, providing affordable care in the name of Jesus during the country’s prolonged civil wars and then during the deadly Ebola crisis between 2014 and 2016. The first case was confirmed on March 23, 2014 in what would become the largest Ebola virus epidemic in history. The pandemic swept across West Africa, engulfing Guinea, Liberia and Sierra Leone, with more than 11,000 deaths reported in those three countries. Liberia was hit the hardest. Having decided to become a missionary doctor when he was a teenager, Dr. Sacra first came to ELWA Hospital in 1987-88 as a medical student for 10 months. After completing his residency in Family Medicine in 1992, he practiced at a community health center in Worcester, Massachusetts, while he and Debbie, his wife, applied to SIM. Returning to Liberia in 1995, the Sacras served there for 15 years. In 2010, they went home to Massachusetts for an extended leave to support their three sons as they completed their education. 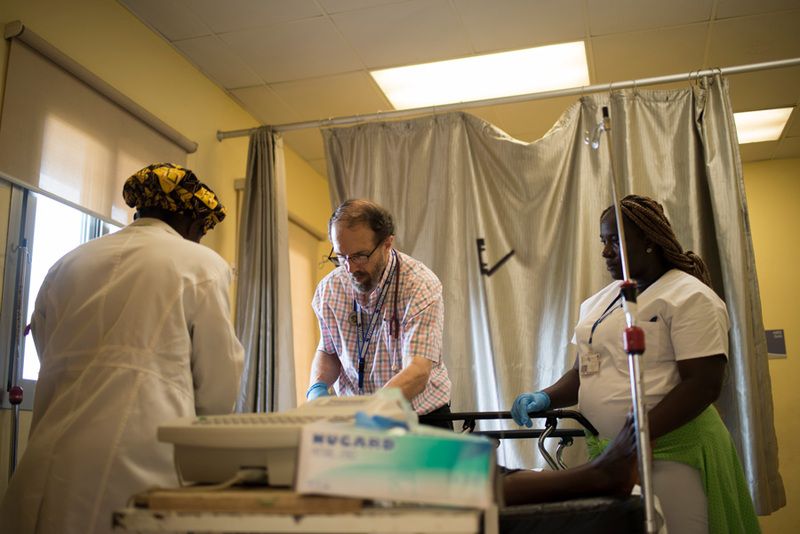 Working in Liberia on an intermittent basis in 2014, Dr. Sacra was on a short leave in the U.S. when the number of cases of Ebola in Liberia suddenly skyrocketed in July. American missionaries Nancy Writebol, serving with SIM, and Dr. Kent Brantly, serving with World Medical Mission, had both contracted the virus at ELWA Hospital during that time. 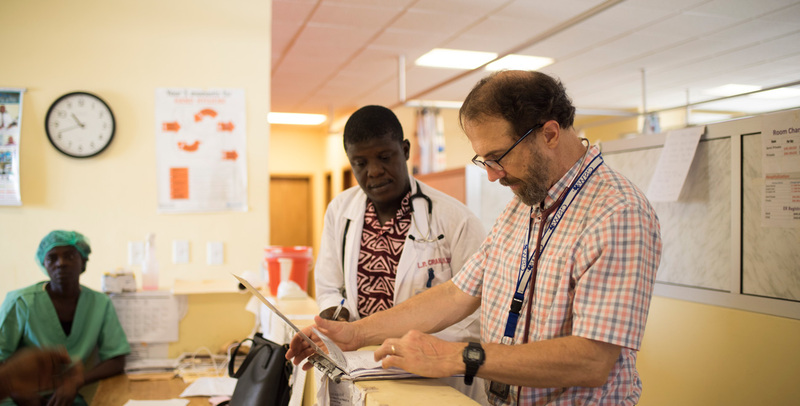 Already scheduled to be in Liberia in late August, Dr. Sacra decided to return immediately to help care for patients in other areas of the hospital. Although recommended precautionary procedures were in place, Dr. Sacra likely contracted the disease while performing emergency surgery on a woman with prolonged and difficult labor, whose risk for the infection was not fully known at the time. Following his diagnosis, he was flown via air ambulance in early September from Liberia to Omaha, Nebraska, for highly specialized treatment at the Nebraska Biocontainment Unit. Declared Ebola-free and now immune to the virus, he returned to ELWA in January 2015. Dr. Sacra believes that medicine provides a unique platform to extend the compassion of Jesus Christ to patients at their time of need. As do his fellow doctors, he prays with them and asks them probing questions that open the door for a visit by the hospital’s chaplain, who shares the gospel and can lead them to a personal commitment of faith. “On the medical side, we kind of crack open the shell so to speak and then other people come in and harvest the fruit,” he says. And so now Dr. Sacra looks forward to bright days ahead for ELWA Hospital and how the AMH Gerson L’Chaim Prize money can benefit Liberians for decades to come. In this next chapter of providing quality medical care in Liberia, the longtime missionary doctor can’t wait to see what God will do next. “For me, surviving Ebola was a second chance to carry out the work I have felt called to for many years, training primary care physicians for Liberia’s future,” he says. “Understanding personally the threat that Ebola presented and the reality Liberians faced in receiving treatment only fanned that flame. SIM is a century-old catalyst for global mission dedicated to prayer in care in bringing good news to hard places. With more than 4,000 workers from 65 nations serving in over 70 countries, SIM is committed to making disciples of the Lord Jesus Christ in communities where he is least known. To learn more about opportunities to serve with SIM worldwide, visit simusa.org/go. African Mission Healthcare (AMH) is a US 501©3 non-profit organization, which strengthens mission hospitals to aid those in greatest need. AMH’s approach is unique, investing time and resources to identify the investments that are really needed, carefully selecting the hospitals they work with, and truly partnering—not prescribing answers but together developing solutions. The Rabbi Erica and Mark Gerson L’Chaim (“To Life”) Prize for Outstanding Christian Medical Mission Service is the world’s largest annual award dedicated to direct patient care. The product of the generosity of philanthropists Mark and Erica Gerson of New York City, the L’Chaim Prize is an annual $500,000 award selected by a panel of leaders in African medicine.